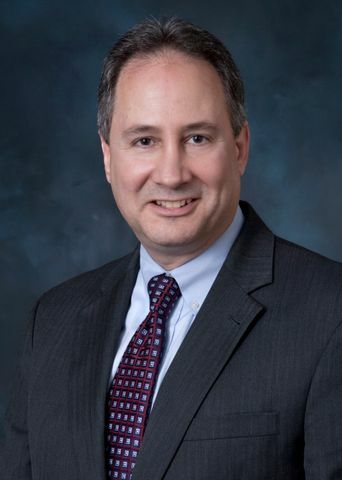 NEWPORT NEWS, Va., Jan. 24, 2011 -- Northrop Grumman Corporation (NYSE:NOC) announced today that Mitchell "Mitch" B. Waldman has been named to the position of vice president, government and customer relations at its Shipbuilding sector. In his new role, Waldman is responsible for the development and management of the sector's government and customer affairs programs and is directly involved and engaged in supporting company business objectives. He will report to Mike Petters, corporate vice president and president, Northrop Grumman Shipbuilding. "We are pleased that Mitch Waldman is joining our senior leadership team," Petters said. "His breadth of experience in Washington and the Department of Defense will be an important component of our concerted focus on strengthening relationships with our customers and Congress as we continue to improve our performance and meet our business commitments." Prior to this appointment and since 2009, Waldman served as vice president, business development of advanced programs and technology for Northrop Grumman Aerospace Systems sector.Â In this capacity, he was responsible for shaping future architecture, advanced concepts and competitive opportunities for manned and unmanned aircraft, space systems and directed energy systems. Prior to this position he served as Northrop Grumman's corporate director for acquisition policy, responsible for coordinating the company's efforts related to pending and upcoming acquisition regulations and policy at the U.S. Department of Defense and other government agencies, internal coordination of congressional activities related to acquisition policy and reform, and representing the company at numerous acquisition and related professional associations. Before joining Northrop Grumman, Waldman served as a senior staff member for former Sen. Trent Lott in the capacity as National Security Advisor. His responsibilities spanned a wide spectrum of issues including foreign policy, intelligence and national defense in support of Lott and the Senate's leadership. Waldman also served in a number of executive positions for the U.S. Navy including deputy assistant secretary of the Navy (Ship Programs), director of cost engineering and industrial analysis for the Naval Sea Systems Command, and deputy program manager for amphibious warfare programs. He has also served as project manager for the Navy's Small Boat Security Assistance Program and completed several senior-level staff assignments with the Navy and the Defense Department. He has been honored with the U.S. Navy Distinguished Civilian Service Award, the Secretary of Defense General Counsel Outstanding Performance Award and the D.C. City Council of Engineering Societies Architect of the Year award. Waldman earned a bachelor's degree in mechanical engineering from the University of Florida, Gainesville, Fla., and a law degree from Catholic University, Washington, D.C. He is also a graduate of Yale University's Executive Management Program and the Defense Systems Management College Program Manager's course. Northrop Grumman is a leading global security company whose 120,000 employees provide innovative systems, products, and solutions in aerospace, electronics, information systems, shipbuilding and technical services to government and commercial customers worldwide. Please visit www.northropgrumman.com for more information.